Lightning Saix is a pretty awesome kit, if not a little small. 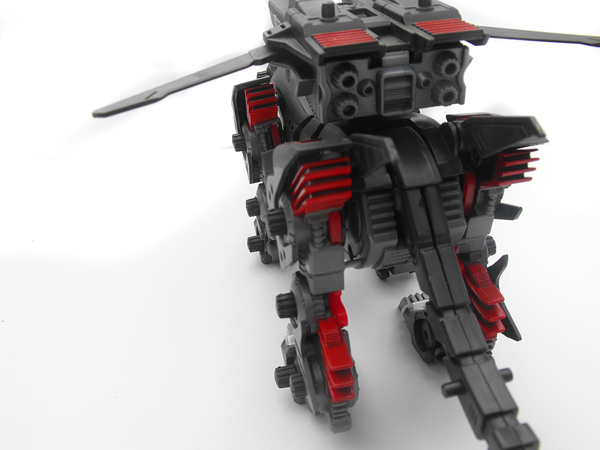 The zoid is also one of few that has remained cheap after all of this time. 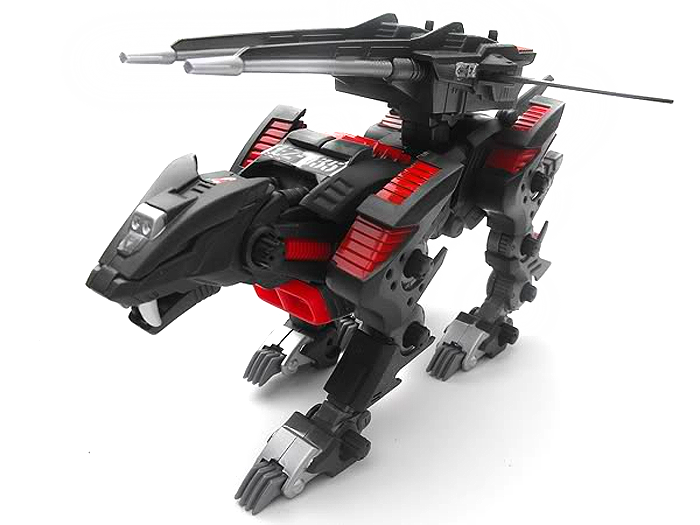 I hear that Lightning Saix has two walk modes. 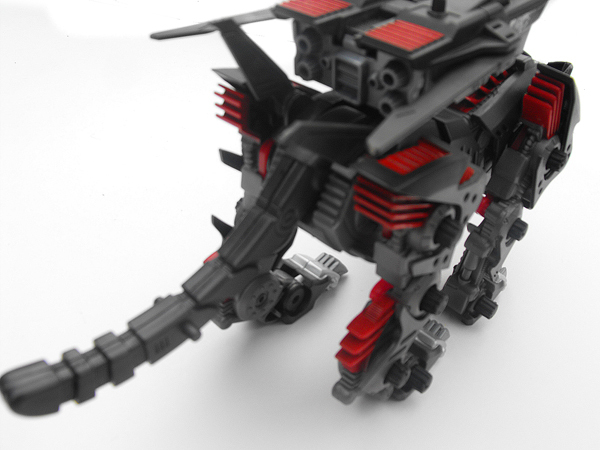 I haven't had a chance to test this myself, since most of my new zoids haven't received a "test run". They were merely built and put on the shelf. 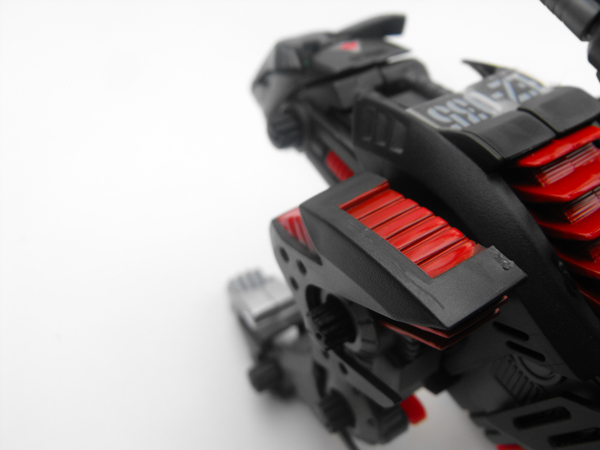 The Saix is a bit unusual, though, in that its battery back is inside of the back-mounted cannon, instead of the main body, like most zoids. 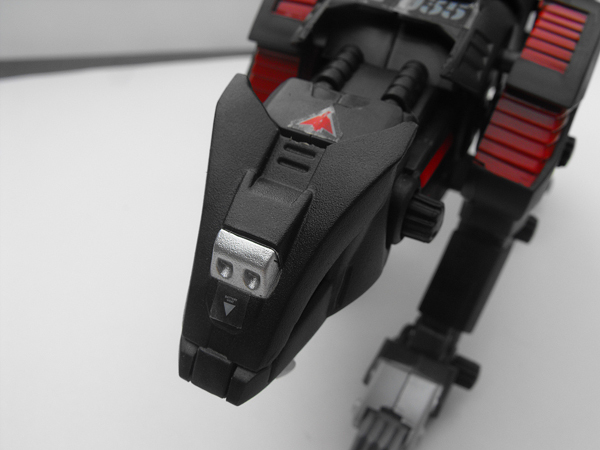 Lightning Saix had pretty decent plastic. 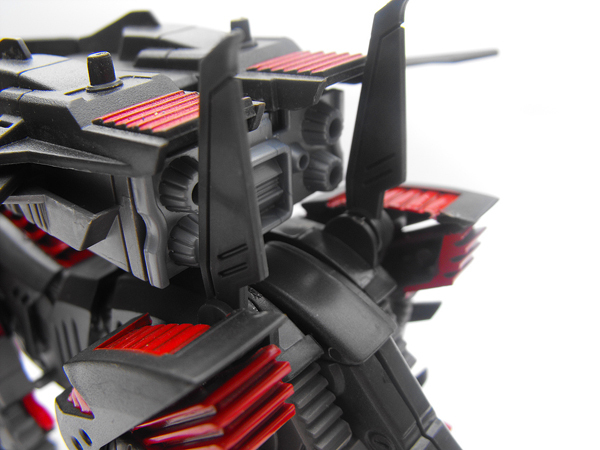 I didn't have any problem with fragile parts, but the black plastic shows flash very badly. Unfortunately, it also shows the stickers badly; as you can see in my images. Some pieces are difficult to move. The claws and jaws for example. Lightning Saix' box art sports an image of it rushing across the desert in front of the sunset. The art was later released as a postcard / cardboard cut out without the extra trademarks and stuff. Lightning Saix shares the same feature it had in the show. 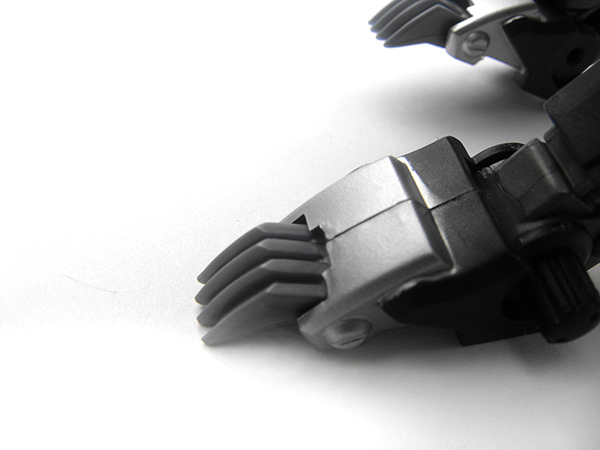 The claws can be rotated up into the bottom of the Saix's paws (the silver piece), and can also be flipped out for battle or traction during movement. 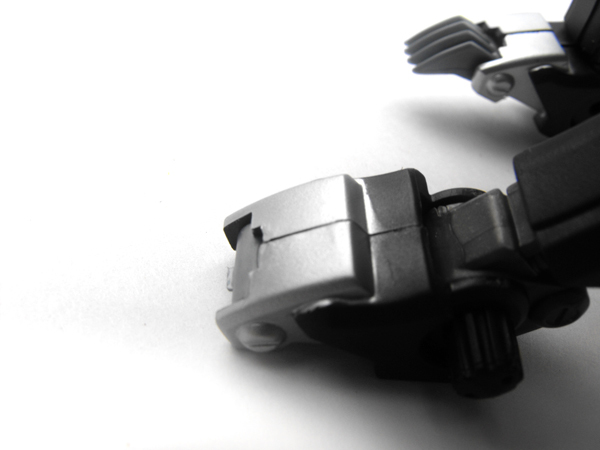 When I first cut these pieces off of the sprue I thought that the little square thing on the back was just spare flash. Let me assure you it's not. 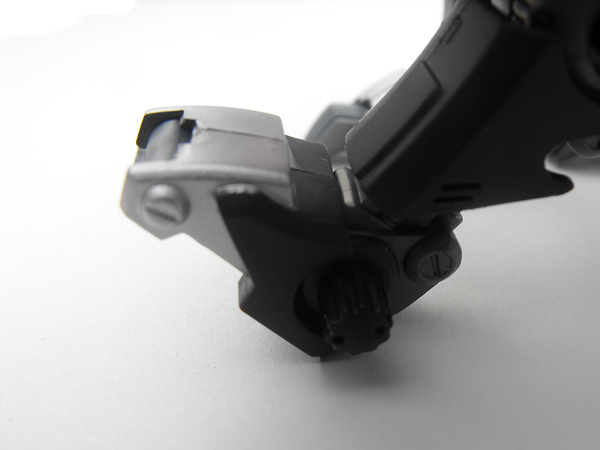 While it can be more aesthetically appealing in a retracted mode to remove this flash, it makes it a bit more difficult to pull the claws back out. I presume you're supposed to push up on this peg to flip the claws out from the bottom. Not very effectively, but enough that you can grab the sides and pull them out the rest of the way. 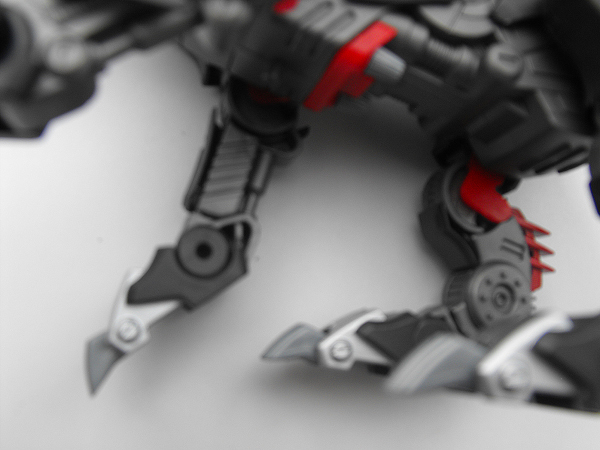 Just as an added note, the Lightning Saix's paws can also rotate up or down at the 'ankle'. 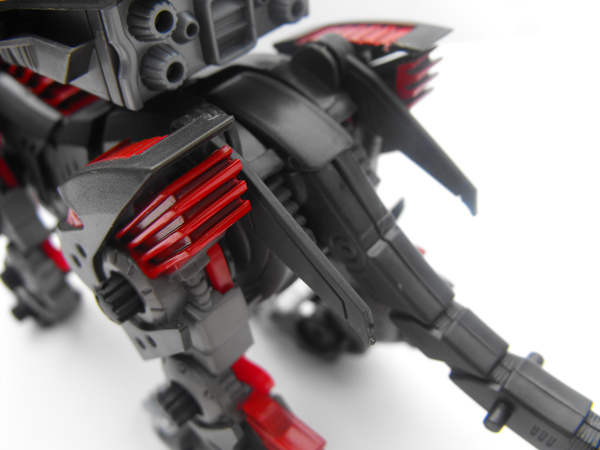 Lightning Saix' tail also has a small range of movement. ... A very small range of movement. This is a little unfortunate, since Saix would look nice if it could move the tail for different battle poses, but sadly, it cannot. 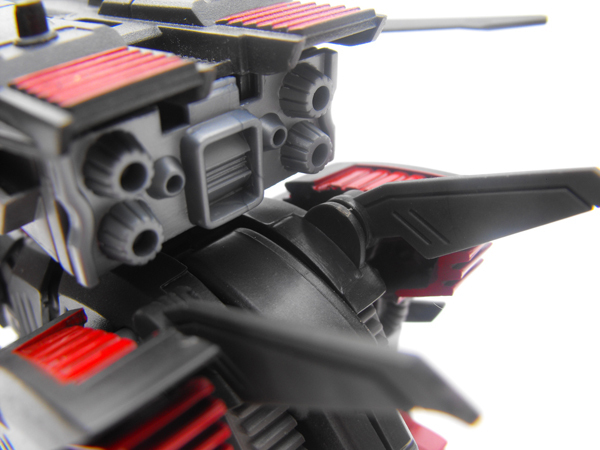 Both fins on the Saix's back (just before the tail) can be rotated backwards or forwards. This allows them to retract down beside the body or to flip upwards for movement. 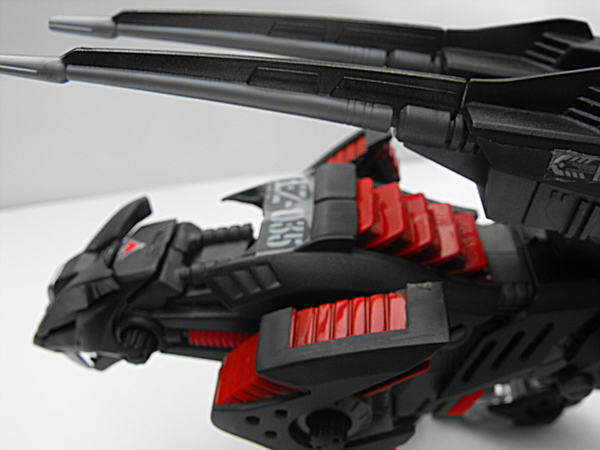 The wings at the side of the gun are also poseable in this same way. They can fan out to the side, enough so to even face directly forward. 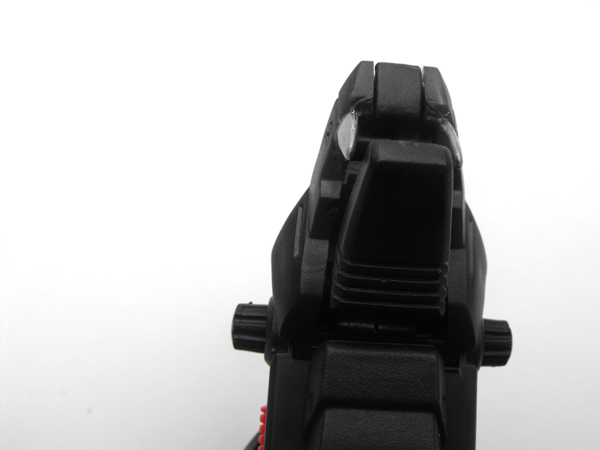 They can also lay flat against the gun (facing backwards), or just spread out to either side. 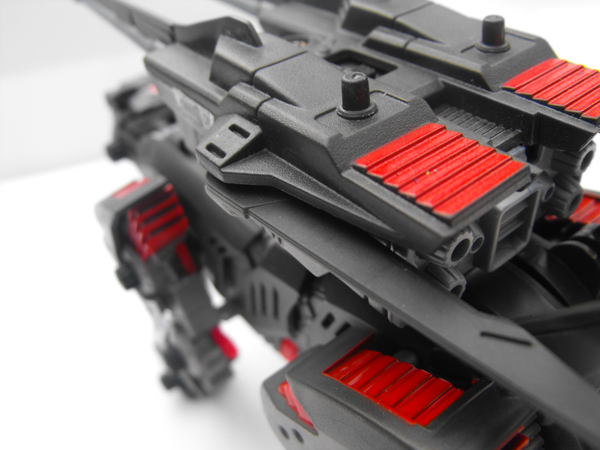 Oddly enough, while the Saix's gun cannot rotate, it seems to be able to tip forward or backwards to a small degree. 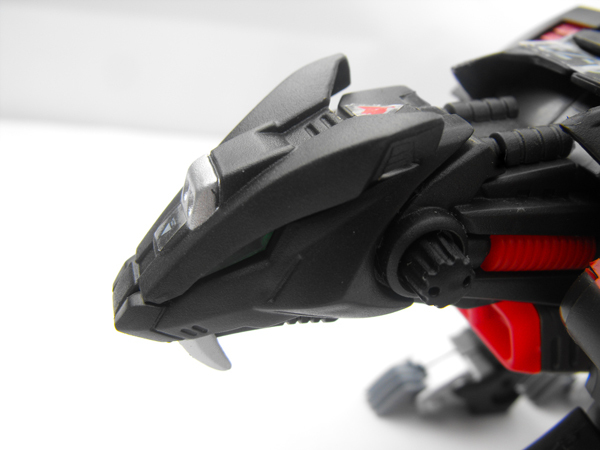 Lightning Saix can open its mouth quite a ways. Be forewarned, however, that if you close the jaws completely, they can be a pain to get back open. 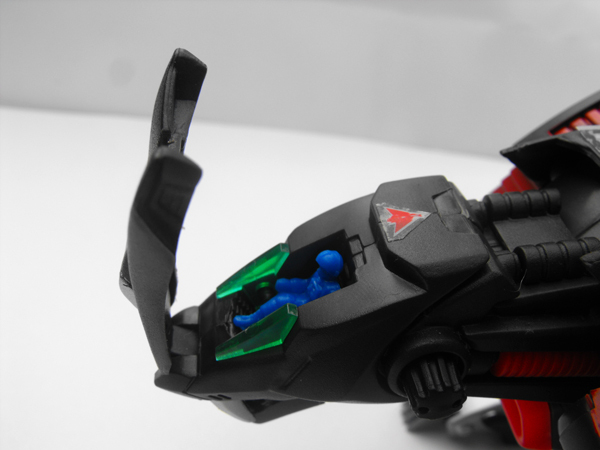 Like most zoids, Saix' cockpit can also open. This is the entire piece that covers the top of the head, and the eyes are attached to it. Flip it forward towards the nose to show the console and pilot. 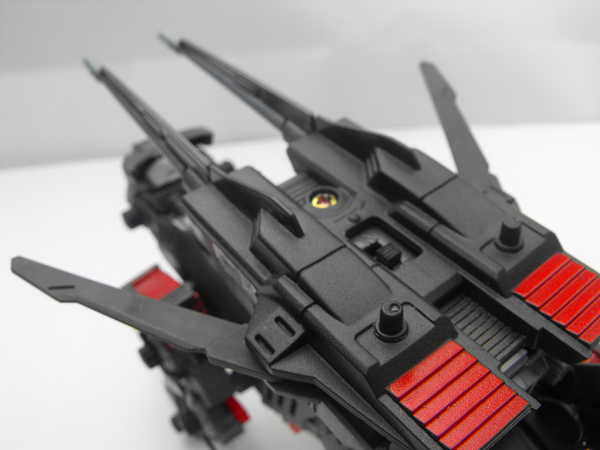 The cockpit doesn't open quite as far as some Zoid's, though. The photo of the open cockpit is about as far as it'll go.